Inspired by the razzberries in Pokemon Go, I bought some frozen rasberries a while ago which have been sitting in my deep freeze waiting to be used. This morning I wanted a pick me up smoothie to help wake me up because we have been working very hard turning our long garage/laundry into two rooms, with a garage in one and a laundry/storage space/workbench area in the other. It has taken a looooong time (bye bye weekends and most of my social life for some time now) and we have another big day of work ahead us installing the workbench itself and shelving above it. I figured that the sweet tang of rasberries would hit the spot. Our newly potted mint has started growing on our balcony garden and is looking fresh and plump so I couldn’t resist combining the two. I pretty much always include bananas because they make smoothies creamy and breakfasty. 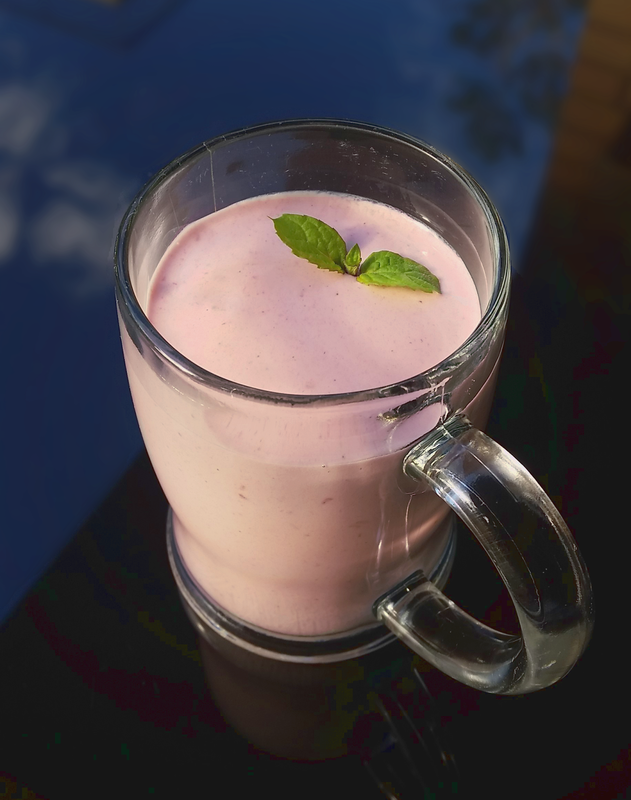 The resulting smoothie is simple, high protein and just plain yum. It would coax any pokemon into being happy to be caught!